This article looks at the Capcom CPS3 arcade system. Overview information and a look at the copy protection implemented. 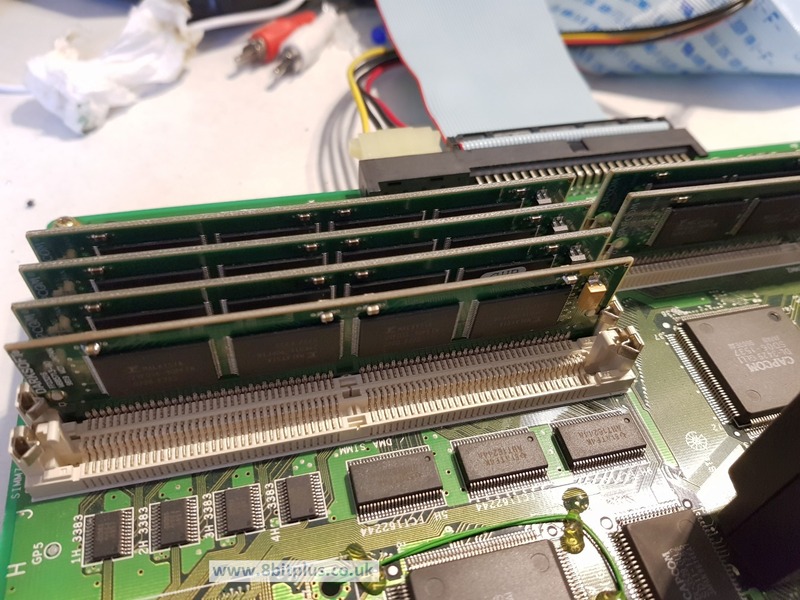 Including the final cracking of the system by Darksoft and his amazing BIOS replacement. By the mid 90’s the capcom CPS2 system was getting a but long in the tooth. The 16-bit board had build a great reputation and fan following of its amazing arcade games, but Capcom were looking for a newer board to develop in-house games. At the same time, the games industry started moving more towards 3D and polygon graphics over pixel and sprites. Capcom (rightly) knew there was life left in 2D so pushed forward with the Hitachi SH2 based CPS3. The CPS3 brought some major changes over the CPS2. Gone were the larger A & B boards in favor of a smaller single board. The Game storage and loading system is also very different. 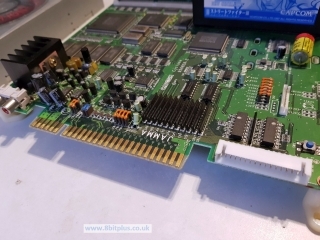 On the CPS2 games were stored (encrypted) on a bank of ROMs in the B board game cartridge. 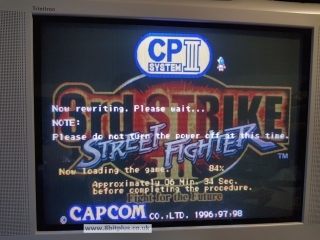 The CPS3 on the other hand had the game data provided on CD. The CD needed a matching security cartridge inserting on the board. This cartridge contained a SH2 processor, a bios and a set of encryption keys for the game. The CPS3 connects to standard Jamma cabinets and makes use of the same Kick Harness as the CPS2. 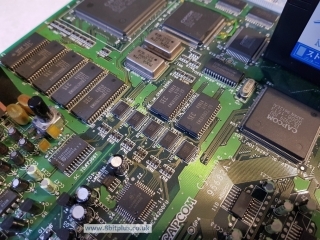 It contains an on-board stereo amplifier and can output mono through the Jamma edge to older cabinets. When the system is setup and booted, game data is transferred from the CD-Rom drive to a bank of SIMMs which store and hold the game data. The game will stay on the flash memory until either its overwritten. The security cart the provides on-the-fly decryption. Its also very sensitive can can detect any sort of tampering to the cartridge therefor care needs to be taken when handling. This was very successful in preventing any pirate copies of the game becoming available. The CPU on the cartridge also made them very expensive, and hard to pirate. If the cartridge does detect any tampering at all, decryption keys are lost forever and as a result you have a dead system. 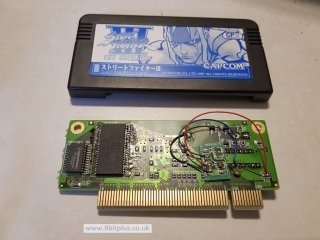 For a very long time only Capcom could revive a dead CPS3 cartridge. 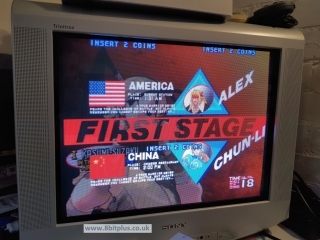 Even MAME couldn’t CPS3 until 2007. Only 6 games were ever written by Capcom for the CPS3. I’ve speculated this was due to a few reasons. 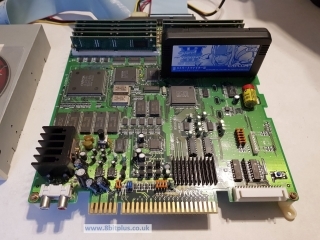 Firstly the CPS3 was much harder to develop on than the CPS2 and third party’s didn’t take an interest. It was much more advanced, true, but with that came complexity. 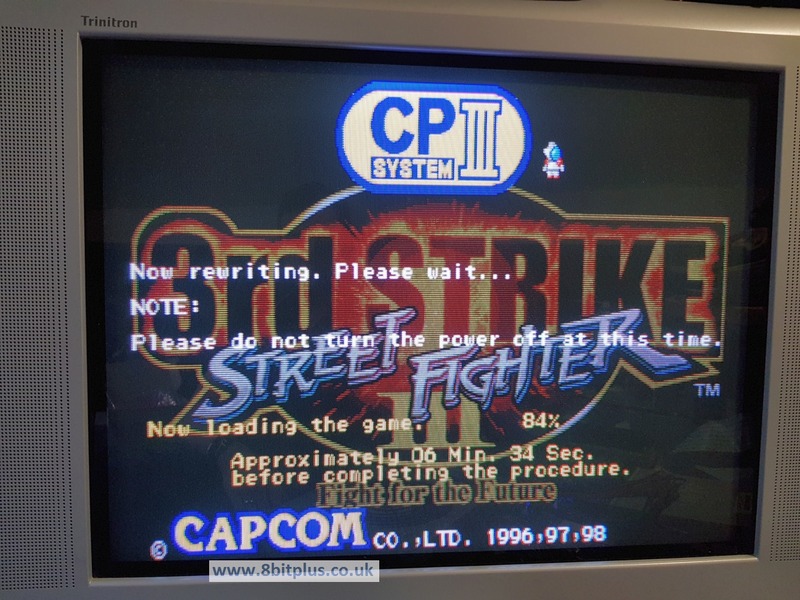 Secondly, it could have been down to the fact that the CPS3 was only ever intended to run Street Fighter III and its updates. The only other games released were also 1-on-1 fighting games. Thanks to the work of DarkSoft64 the CPS3 security cart can be resurrected when the battery dies. Although not to its original state. 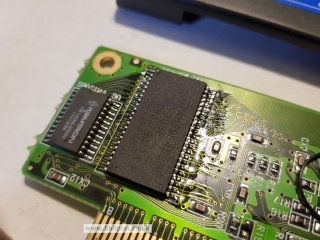 He managed to create a BIOS for the cart that allows un-encrypted versions of the game to be executed therefore unlocking the system. This new BIOS also allows any of the games to be played with the came cartridge, so no need to swap when changing games. 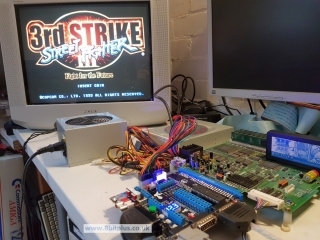 I purchased my CPS3 system complete with Street Fighter 3 New Generations from someone on eBay sometime in 2007 or so. 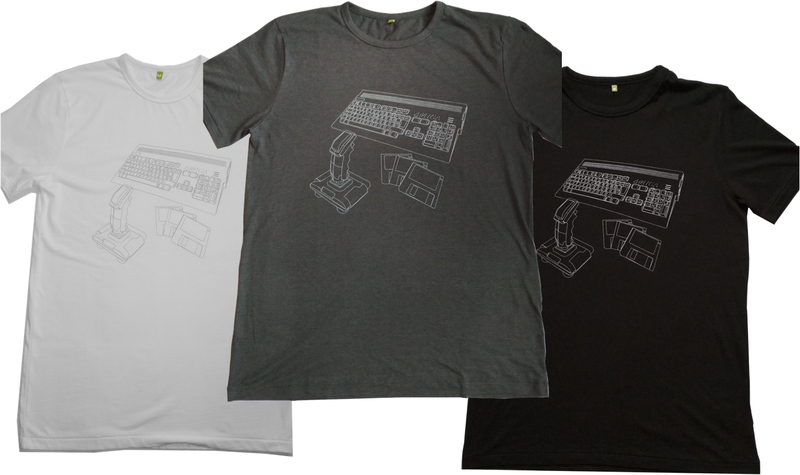 It worked perfectly when I received it and I enjoyed playing it for a short time. I saw that the battery was getting very old (even then) and wanted to replace it like I had done for my CPS2 games. Unfortunately, even following guides online, I made a mistake and the cart wiped the security codes. I was unwilling to sell it as not working, so I put it in storage until 2017 when I located it again. By this time Darksoft was offering his cartridge modding service online so I sent it over for revival. 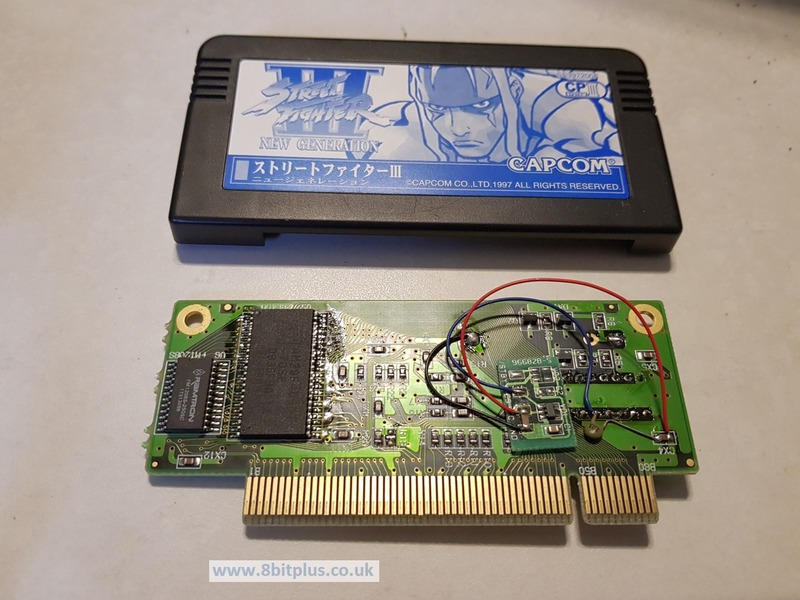 I also purchased a couple more 128 mbit SIMMS needed to play the larger games like Third Strike. As you can see; one of the memory modules is an original Capcom one, the other is a new SIMM Darksoft made. 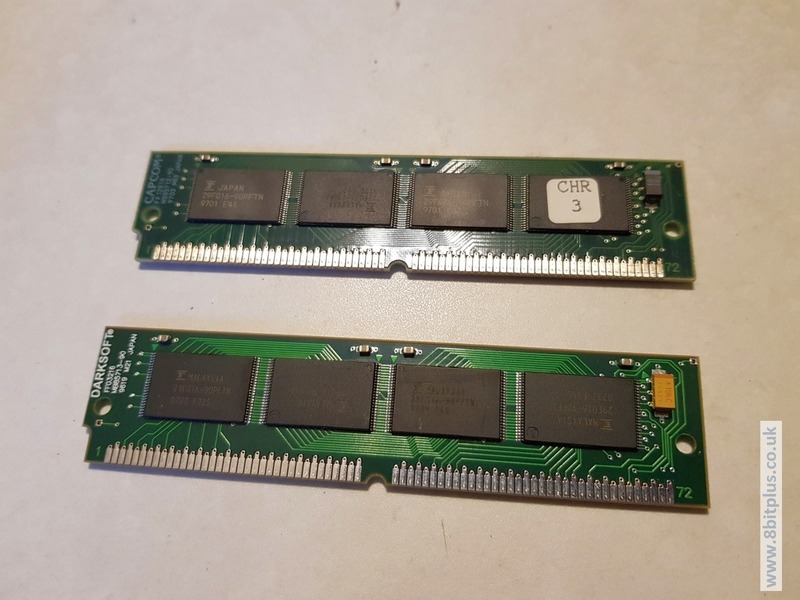 The memory is Flash ram, and not compatible with PC memory unlike the Sega Naomi NetDimm. The last thing to do was download the ISO containing the modified games and test it all out. This CD contains all six games and language packs. Now its time to hook everything up to my ProGamer Supergun. I recently reviewer this supergun HERE. I connected to my RGB TV with a scart cable, and to a PC ATX power supply. 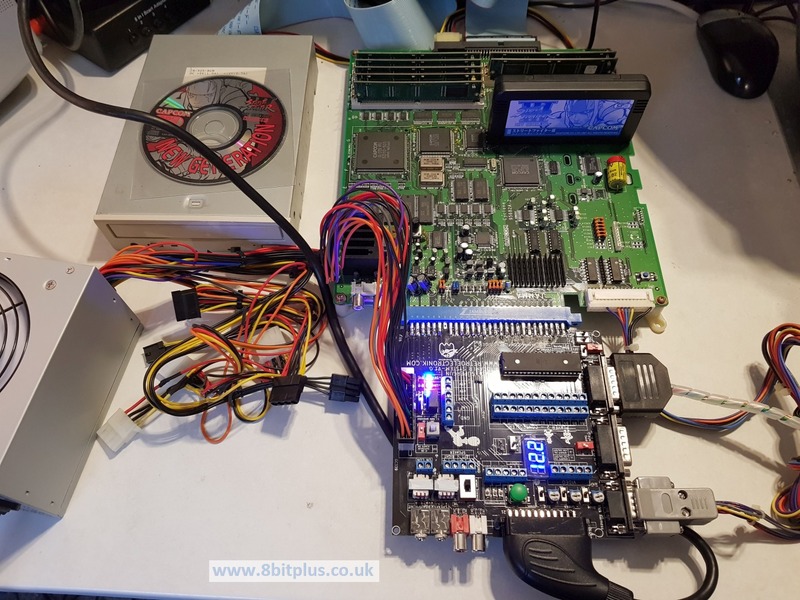 Also I connected the Kick-Harness cable from the CPS3 to the supergun. 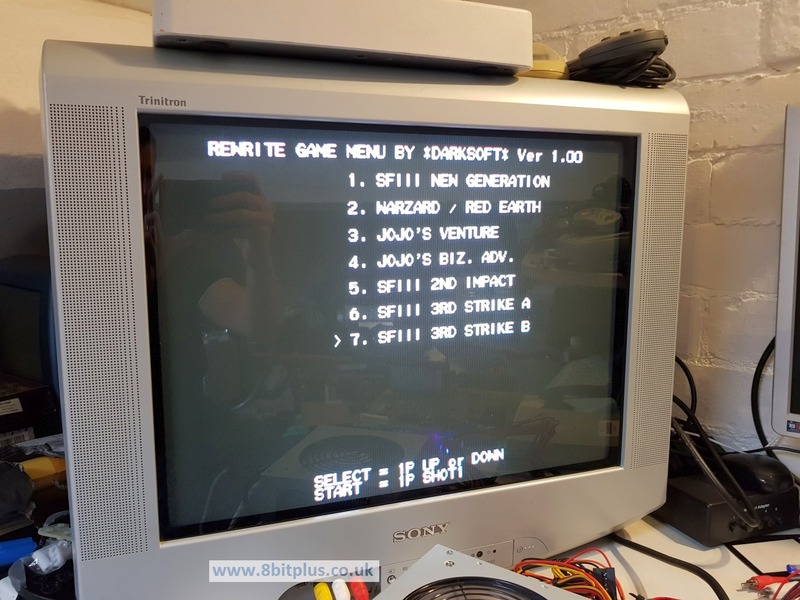 When the board is powered on, pressing player 1 start accesses the Darksoft menu. From here you can select the game to flash. During the flashing, which can take up to 40 minutes, you get the little dancing robot animation. The whole game is then transferred to flash roms on the Simms from the SCSI CD-Drive. With it taking this long, swapping games inst something would want to do too often. You’ll be pleased to know you won’t have to re-flash next time you power on. After the process is done the game boots to a menu for you to select the language you want the game to run. 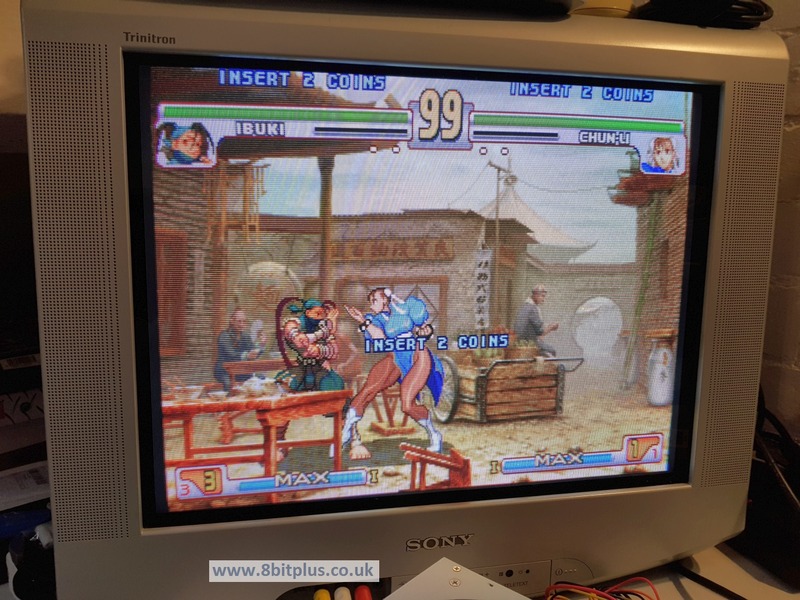 CPS3 is a funny system. So long it was overlooked and overshadowed by its predecessor the CPS2. It was complicated and expensive at the the time, and off-putting to collectors later in its life duo to the battery replacement complications. 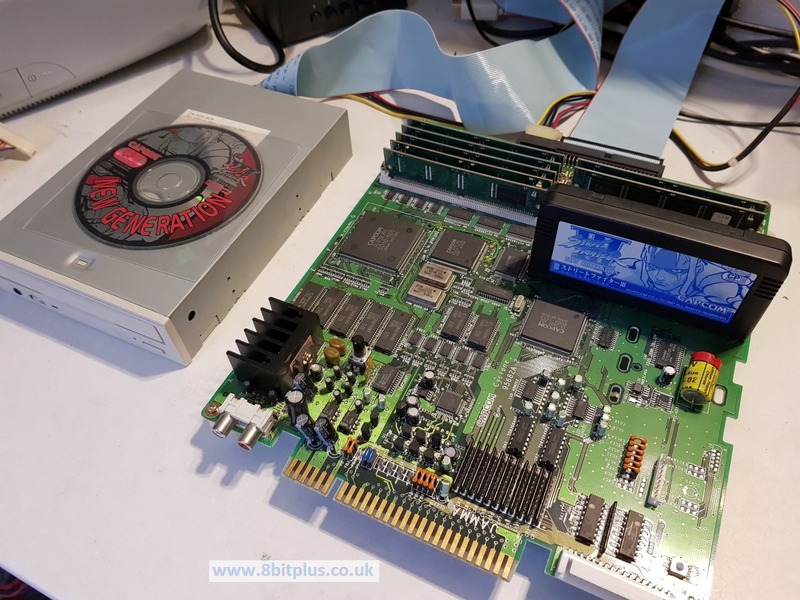 Finally people who held on to dead systems like mine are rewarded with the revival and modification options provided by DarkSoft and the Arcade Projects forum. 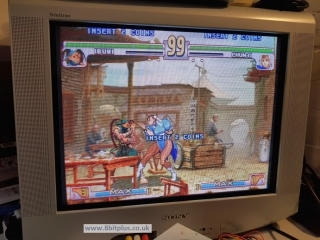 The CPS3 is well worth owning for Street Fighter III 3rd Strike and JoJo’s Bizarre Adventure alone. The other games are a bonus. 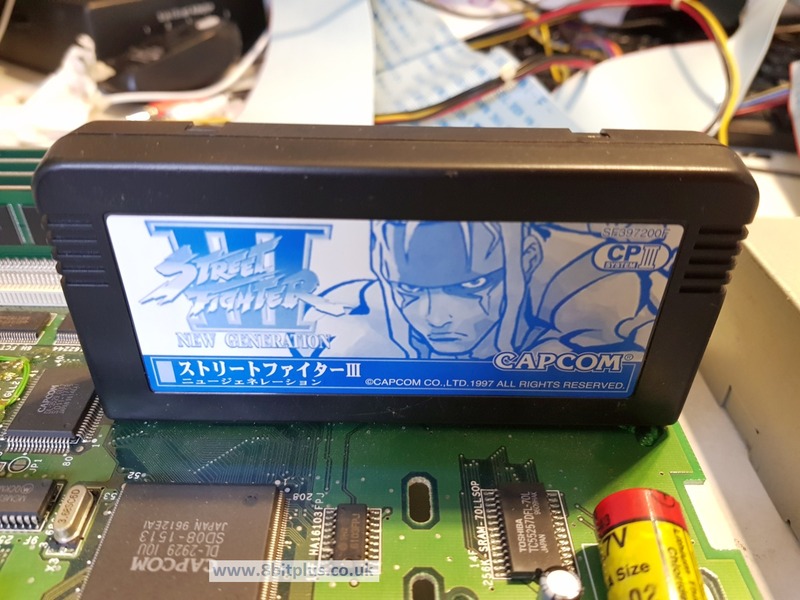 If you have a dead CPS3 cart, get it flashed asap. 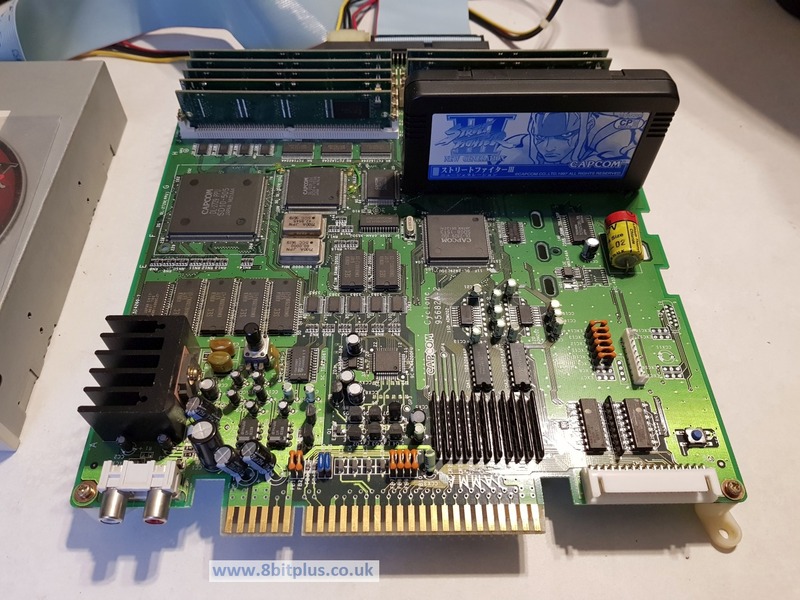 Arcade Projects Forum – DarkSoft and CPS3 information.